think nothing of having a tender kitty cat lunch. But not this time. 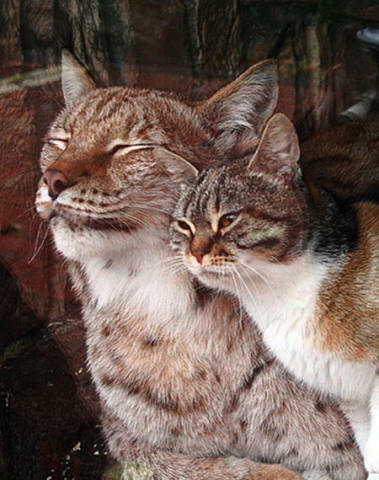 Dusya, the cat, and Linda, the lynx, have been roommates since 2006 when one of the zookeepers at the Leningrad Zoo placed the kitten in the lynx cub's enclosure. 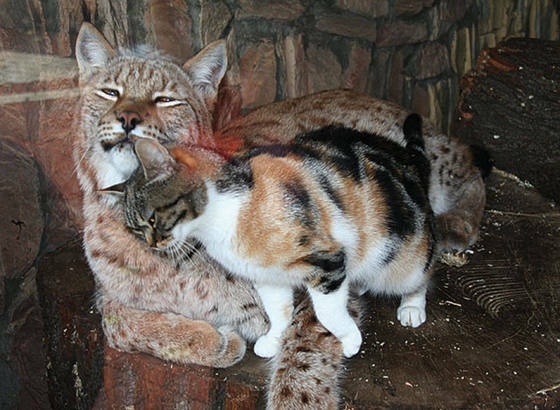 Unsure that the lost cat and the lonely lynx would be compatible, zookeepers were thrilled that they not only bonded, but they are passionate about one another. 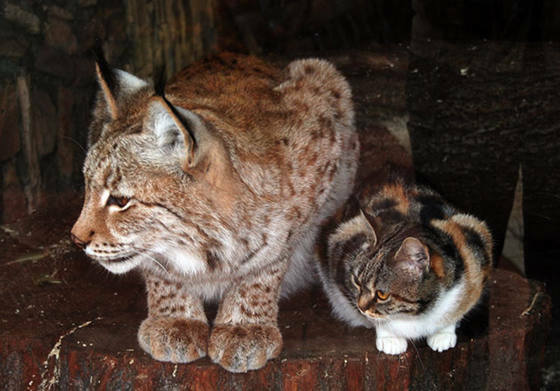 Another story circling the Internet is that the cat just wandered into the lynx's enclosure where she found food and a companion that did not reject her. The true story is probably somewhere in between. It could be that Dusya wandered in as a kitten and the zoo decided to keep her. 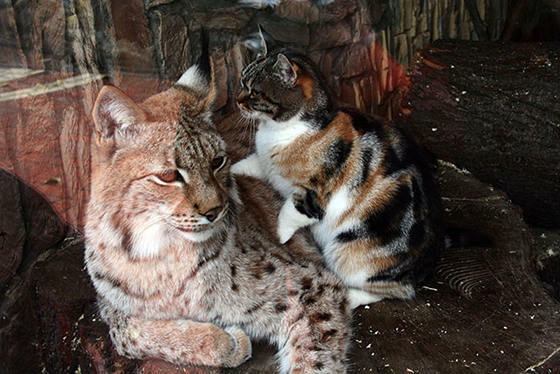 The zoo has, in fact, adopted the cat so that she can stay with her BFF. Linda is obviously pleased with this decision. The two friends have been inseparable since they were both about six weeks old. They sleep, eat, and play together. Most charming to visitors at the zoo, the pair like to groom one another in loving harmony. You can watch them doing this in the video below. They are a puff-fect pair. To see another odd animal pair at a zoo, click here. Alien Cat! The Animal Video Of The Day!! !